The Raspberry is a delicate fruit which, once ripe, doesn’t take kindly to being kept waiting. It’s sensitive to damp warmth which can quickly turn the berries to mildewed wretchedness. Sometimes, in just-picked fruit, to the untrained eye, there is no evidence of its presence but once that musty flavour hits the tongue it’s a taste never forgotten – by me anyway. Grown well, the berries are sweet/sharp, bursting with juicy wine-like flavours and carrying floral aromas ranging from rose to violets. We like to bide our time and buy our raspberries direct from our favourite grower in Kent. This way we know they have been carefully raised and harvested, and time from farm to plate is kept to a minimum. We use these raspberries in our much loved London Fermentary Kent Raspberry Water Kefir too. All berries which grow on canes – raspberry, blackberry, Loganberry etc – are members of the genus Rubus, part of the rose family. The delicacy of the fruit belies the fact that cultivated raspberries derive from wild plants that thrive as far north as Alaska. This explains why cultivated raspberries from northern climes, like Scotland grow so well and are rightly prized. The British raspberry crop is only just getting going but the season is surprisingly long. Southern-grown berries from summer-fruiting canes peter out but the Scottish season takes overs. 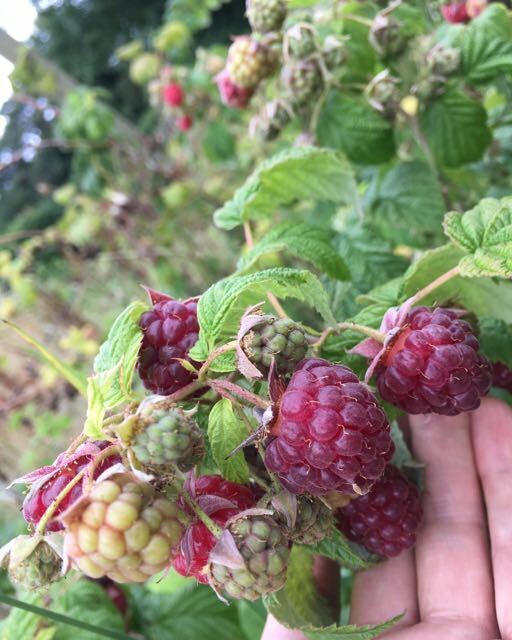 Then there are the autumn-fruiting varieties too which can mean British raspberries are around until well into autumn. Raspberries are a fruit best eaten raw, though they will stand a little warmth to bring out their juices. If you keep them in the fridge, it’s important to allow them to reach room temperature to bring out their flavour before eating. They pair wonderfully well with warm baked peaches. Cream is very much a friend. If you have a peach, raspberries and cream you have the essentials for a Peach Melba. A Victoria Sponge Sandwich cake eaten outside on a warm day is quintessentially English. Sandwiching the sponge layers with raspberries and cream makes it more special than using raspberry jam. A few drops of rosewater can raise the flavour of less perfumed berries - delicious with meringue and cream, turned into a summer berry Pavlova or a variant of Eton Mess. If you need to, the berries freeze well and, whizzed up from frozen in a food processor, make an easy sorbet. As an alternative, you can puree the raw berries with sugar (around 3:1 fruit:sugar) to make a syrup to ripple through vanilla ice cream.